The Japanese military in Indonesia moved quickly after the atomic bombing of Hiroshima; it was obvious that, with Soviet entry into the war imminent, Indonesian support would be their main asset in a near-hopeless struggle. On 9 August a Japanese military aircraft flew Sukarno, Hatta and Dr Radjiman Wediodiningrat (the doctor/aristocrat who had chaired the Committee of Enquiry into Independence, BPUPK) to Saigon, where the headquarters of the whole Southern Regions Army had been moved to months before. They could no longer fly safely to Tokyo. Unaware of the Soviet invasion of Manchuria and atomic bombing of Nagasaki just hours before, the three men were taken to the hill station of Dalat to meet the Commander, Field Marshal Terauchi Hisaichi, who told them that Japan would recognize Indonesian independence. Sukarno and Hatta would be chair and deputy of a new 21-member Committee for the Preparation of Indonesian Independence (PPKI), with representatives from more than just Java, to which previous steps towards independence had been limited. What would be the boundaries of such an Indonesia? 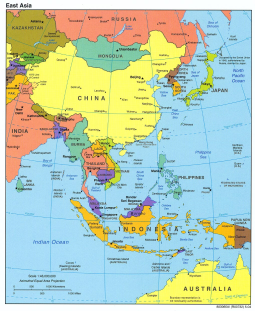 The Netherlands Indies had been divided between three Japanese authorities, Sumatra being joined with Malaya for a period (1942–43), and parts of the East were now occupied by the Allies. The boundaries had been discussed in the BPUPK in July, where pragmatic Hatta had favoured the Netherlands Indies without New Guinea as more cohesive and achievable. However, a large majority, 45 to 19, had supported Sukarno and Muhammad Yamin in opting for a ‘Greater Indonesia’ embracing the Netherlands Indies, British Malaya and Borneo, and Portuguese Timor. 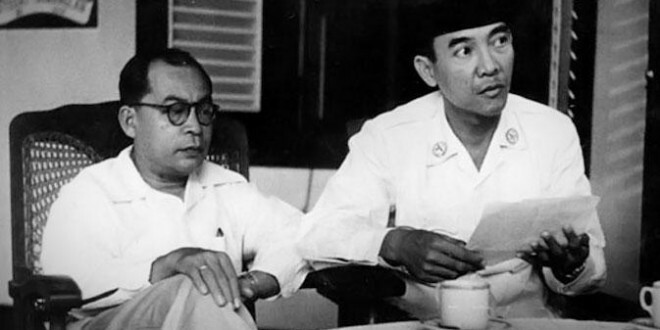 Sukarno was able to report the enthusiasm of the Malay nationalist movement led by Ibrahim Yaacob to join Indonesia. The fact that Malays were outnumbered by Chinese in what was left of Malaya after the northern states had been transferred to Thailand made a separate Malayan independence neither attractive nor viable to these men. The plane carrying the three Indonesians to Saigon stopped long enough in Singapore for Sukarno and Hatta to meet some of the pro-Indonesian Malay nationalists, who had defiantly raised the Indonesian flag on Singapore’s tallest building in honour of the visit. No doubt this issue was discussed with Terauchi and others in Dalat, since he had authority either to include or exclude Malaya from the preparatory committee, PPKI. He chose the latter. The plane carrying the three leaders back to Jakarta stopped at Taiping, the Japanese military headquarters in Malaya, where they met Ibrahim Yaacob and heard his passionate desire to lead his country to independence as part of Indonesia. Sukarno was reportedly impressed, Hatta much less so. Ibrahim wanted to come to Jakarta for the independence preparations, but the plane flew on without him. 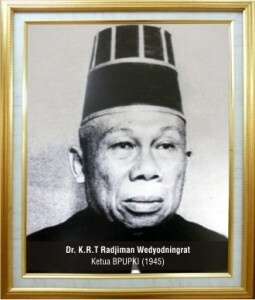 Instead it stopped in Medan to pick up three representatives from Sumatra for the PPKI meeting, selected without reference to the Japanese 25th Army in Sumatra and its preferred popular leaders. Another Japanese military plane flew two PPKI delegates to Batavia from Makassar. 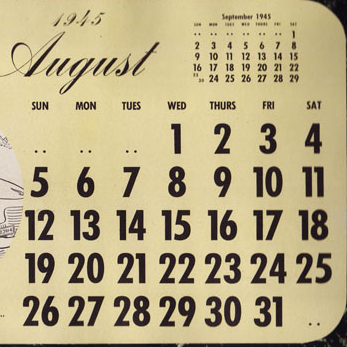 Once the Japanese surrender was known, all thought of redrawing boundaries was forgotten. The number of enemies had to be minimized by declaring only former Netherlands territories to be the target of the independence movement. 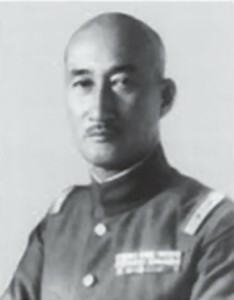 Count Terauchi Hisaichi, Gensui (or Marshal) in the Imperial Japanese Army and Commander of the Southern Expeditionary Army Group. 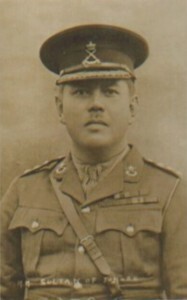 Sultan Ibrahim of Johar, in Johar Military Front uniform, probably in the 1930s.